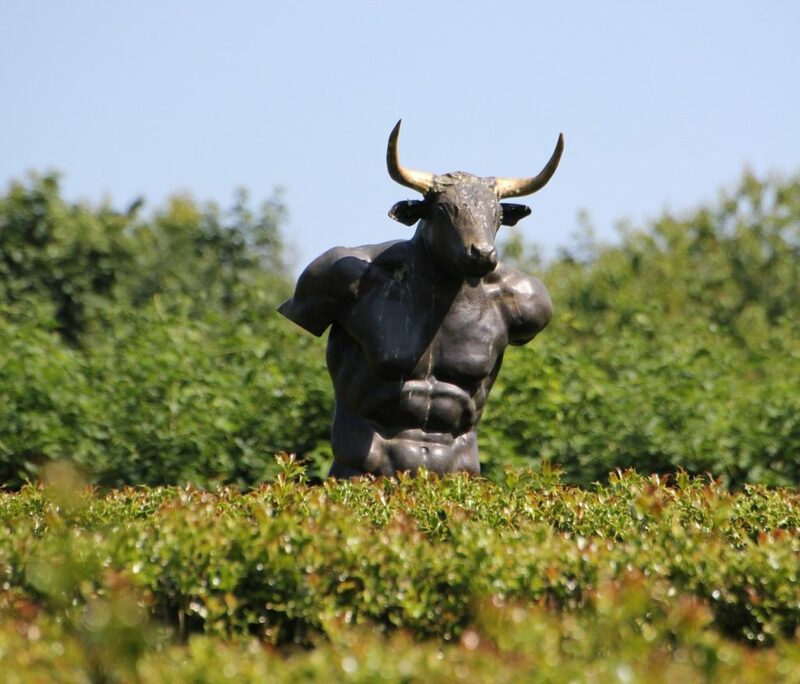 Senator Minotaur stands at the entrance of the hedge maze behind his house, the one his therapist (who only his wife knows about) recommended installing. A drop splashes on the tip of his left horn, another one on his forehead. Breathe, the Senator reminds himself. Breathe. The Senator stands at the entrance until the sky rages with a father’s anger, drowns the earth. He sprints into the hedge maze, kicking up mud with his hooves, navigating his way to the center. When he gets there, the Senator tells the center it will never hold him, not now, not ever again. J. Bradley is a two time winner of Wigleaf’s Top 50 (Very) Short Fictions. He’s the author of Neil & Other Stories (WhiskeyTit Books, 2018). He lives at jbradleywrites.com.